Yet before even a wheel had been turned in 2016 testing there were reasons to think that Toro Rosso could be onto something for this season, early on in the campaign especially. This high-quality chassis will now be pushed along by a year-old Ferrari unit, and even with it not being the latest kit this would initially at least give a step-up in power. Red Bull boss Christian Horner estimated it as being worth 0.8 of a second a lap. Granted he may have been trying to make a point to Renault (again) but few reckoned he was too far out. But what a fine job all did. The car ran at the first Barcelona test without launch fanfare or indeed livery. It clearly was an interim car of sorts, although Key said it was the 2016 machine albeit with the odd 2015 bit still lingering. It ran well too, only the Mercedes did more mileage in testing while in the second test with this year's car proper, the STR11, the Toro Rosso topped the laps completed of anyone in two of the days. Many liked the machine's look also, showing impressive and beautiful detailing and aggressive sculpting, such as in its sidepods. Ted Kravitz described its aero development as "super impressive" while the driver feedback also was good. Sainz set the fourth best time of the second test, just three tenths off the Ferrari at the top and on the same tyre compound. Consensus quickly grew that the STR11 is in the group fighting for third best behind the Merc and Ferrari, around Williams and Force India and maybe even ahead of big brother Red Bull. Another clear downside of using a year old unit is that Toro Rosso's will stay still as the season goes on while all other units are developed. But there look like genuine opportunities to make hay early in the season. Someone even mentioned a Melbourne podium... That might just be optimistic without the help of attrition, but being well within the top ten and bagging plenty of points in the first few rounds seems an entirely realistic aim. It seems odd that there was such a fuss. An insistence that absurd F1 had found a way somehow to get yet more absurd. Indeed the FIA even before he'd first raced changed the rules to make it impossible for his sort to be repeated. It seems odd as I said, as last year the 17 year-old Max Verstappen without exaggeration put in the most impressive and exciting freshman campaign in many a year. In F1, just as in Hollywood, nobody knows anything. He debuted in F1 with but a single year of car racing under his belt, amounting to 48 races. But that Red Bull felt it necessary to go to such lengths - offering him a race seat pronto - to get Max into its stable should have told us something. As should that Peter Windsor likened his first pre-season test to Michael Schumacher's celebrated Silverstone run with Jordan in 1991, that Helmut Marko likened him to a young Ayrton Senna, and that his well-travelled race engineer Xevi Pujolar described Verstappen at "the best I've seen so far". There were of course manifestations of his inexperience. Some mistakes, some anonymous races, sometimes he didn't nail a qualifying lap (indeed his team mate beat him on the Saturday match-up). But as the season went on he showed strong signs of getting on top of all three of these. Just as you suspect he'll get on top of most other requirements of being an F1 driver of the very highest level. In a lot of ways Carlos Sainz entered his own debut F1 campaign at Toro Rosso on a hiding to nothing. He had a 17 year-old team mate who from well before the off was getting all of the attention. That Sainz only got a drive at all through luck when Sebastian Vettel decided he was off to Ferrari which cleared a space for him after the resultant shake out probably added to this sense - it meant that same 17 year-old had before this leapt straight over the top of him in the Red Bull young drivers' pecking order. That the same 17 year-old scored not far off three times his points by the season's end might suggest he was trounced. But you know the one about not judging a book by its cover. 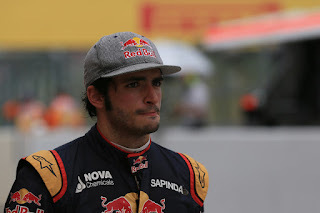 In fact there was very little to choose between Sainz and the lauded Max Verstappen; little that is aside from the Spaniard's tendency for wretched luck. 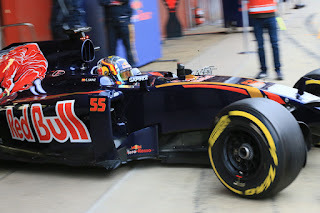 The persistence of debilitating technical failures for him at vital times in 2015, and when they didn't hit something like a botched pit stop would (see Australia, China and Austria), made most suspect that Sainz must have a previous of breaking mirrors and encountering black cats. At least 20 more points should have been his. Those at Toro Rosso confirmed indeed that their two pilots were evenly-matched, indeed a coherent case could be made that Sainz had a slight edge. Sainz's peaks were never as high as Verstappen's but he probably was more consistent. His colleagues reckoned too he was perhaps more versatile with an unbalanced car and on a 'green' track as well as was - certainly earlier in the campaign - more likely to nail it on a qualifying lap. Sainz out of the car was highly impressive too - a thinking driver good with engineers while more generally in his behaviour he displayed great maturity and composure. But if he did indeed have awful luck he brought the misfortune on himself occasionally, such as knocking his front wing off entering the pits in Japan as well as in qualifying crashes in Singapore and Austin, and those in practice in Russia and again in Singapore. He also got a grid penalty in Monaco (of all places) for missing the weighbridge in qualifying. But he shouldn't lose heart. 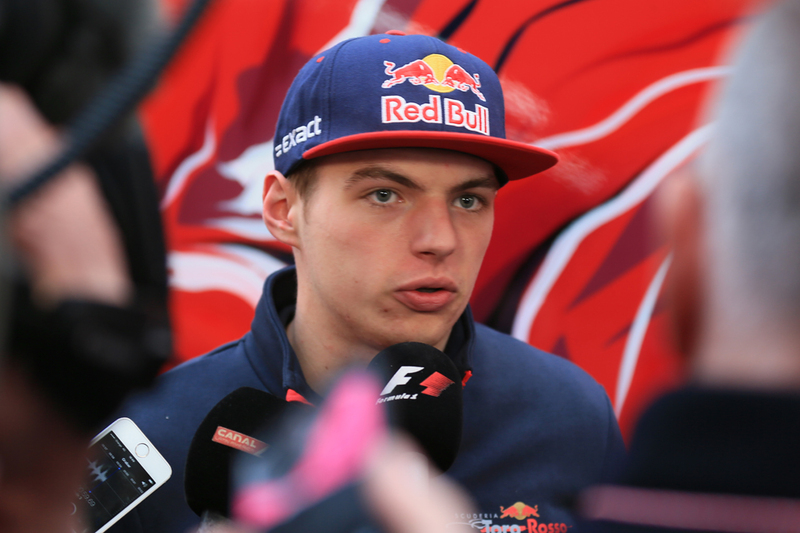 He may not ultimately be a Verstappen but there is a very good F1 performer in there. And surely his luck will turn.